It’s time to start thinking outside the box. 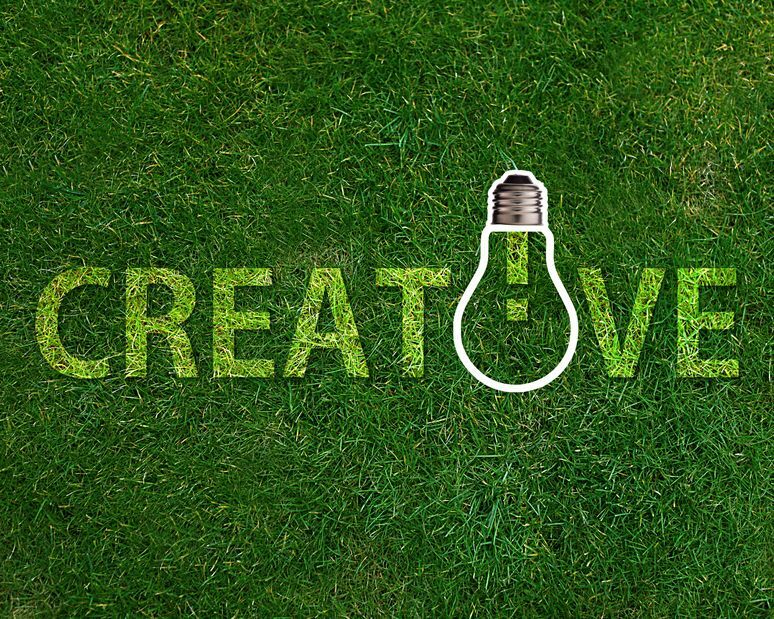 It takes conscious effort to become a creative thinker. However, the result leaves you with a plethora of benefits. For example, being more creative helps you sleep better, solve problems, and tackle work projects in a more productive manner. In addition, you become a more multifaceted individual, and more interesting and easy going. Okay, you may be an interesting person already, but there’s always room for improvement, even if it requires liking and accepting ourselves more. Studies conducted at the University of California, Santa-Barbara, gave a creative exercise to students, and afterwards had them take a break. During the break, some students were told to name colors displayed on a computer screen, others worked on a rigorous memory test, some were told to take a rest, and others had no rest at all. After going back to work, the students who performed the simple color-naming task did considerably better than the other students did. You want to know why? Because idleness has its benefits, according to a UC Santa Barbara professor of psychology. What the study results concluded is that “twiddling your thumbs, or, singing in the shower,” so to speak, allows the brain to gather a balanced amount of activity that translates into “go forth and create.” You want to know how to be more creative, read on. – Cut off the tube. Not YouTube but the TV, well, YouTube too if you must. If you dare, get rid of the TV altogether. TV numbs the mind. It’s a subliminal game that is played on viewers that leaves them emotionally charged based on illogical outcomes and situations. It’s a brain-drain and creativity sapper as well. – Take a walk. Whether its one hour, 15 minutes, or whatever, just get out and walk. Take in the scenery around you, but not in a personal sense. Be detached. Just let things “be” and enjoy things as they are. Let your mind become a “free agent.” Perhaps you will find yourself full of creative ideas and solutions. -Write it down. That’s right, put pen to paper the old-fashioned way, and write down, at random, your thoughts, ideas, feelings, or a problem you want to solve. It seems that writing things down release the mind and leaves room for creative energies to revivify. Psychologists for years have noted the benefits of writing things down on paper. Not on your computer, but on “real” paper! -Do a jig around the house. Don’t worry about looking silly, act silly if you want! Dancing is much like exercise. The movement releases “feel good” hormones known as endorphins. This opens the gateway to get your creative juices flowing. -Play and pretend. When you play, your mind can explore and your subconscious can work its magic. This is one of the reasons why “getting away from everything,” if you can, allows creativity to blossom. One of the means of getting away is by playing and pretending. Use your imagination and picture yourself where you would like to be a few years from now. Visualize the details or write them down. Make sure your “feelings” are in-sync with your thoughts. Feelings are the fuel that give your thoughts power. Visualization is a technique that can be used for numerous situations. Supposing you have an important job interview coming up. In your mind, pretend you are at the interview. See yourself acting and speaking professionally, don’t worry about the outcome. Just visualize yourself doing well. Play childhood games. Buy a hoola-hoop if you don’t already have one. Play with Legos, mix crazy watercolors together and see what colors emerge. Just play, pretend, and allow your mind to be free. You may find yourself with an abundance of creative ideas popping-up.